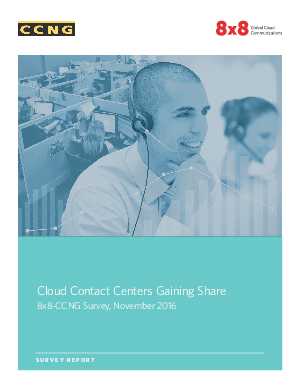 The 8x8-CCNG survey shows more and more companies are moving their contact centers to the cloud, and for a range of reasons that is appealing to almost every business center. Most prominent among those objectives are better business continuity, scalability, supporting remote workers, and integrating new technologies like multi-channel capabilities. Does your contact center employ remote agents? More than half do or respondents do! Across industries, prioritizing top talent and supporting remote workers is a growing concern. Cloud contact centers support this objective by making the full set of technologies and features available to all users, wherever they are located. Download now to learn more.